Direct Mail Made Easier! And Faster! Save Money! Colorgraphics mail division can handle all aspects of bulk mail processing: inserting, sealing, ink-jetting, 3 tabbing, NCOA- We are fluent on all aspects of Bulk Mail. Allow our Bulk-Mail professionals to take the guesswork out of your next Direct-Mail campaign! We can efficiently print and process your mailing, ensuring it meets Postal requirements! Add’l services available which we can detail in further conversations. We understand mail processing & saving you money! We can also create targeted lists for your very specific demographics – contact us for quote. We’re first in state to receive Mail Anywhere certification! Based on accuracy of recipients receiving our mail pieces! Highest rating and achieved on first try! 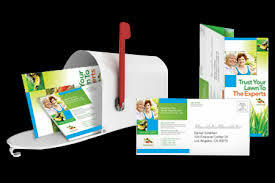 Print & mail is still relevant and direct-mail delivered to your targeted audience commands attention. Direct mail works! Like to save money on postage? We can help! YES, fantastic savings!